Avocados are high in healthy monounsaturated fatty acids, unlike most fruits which are high in carbohydrates. They are low in saturated fats (unhealthy fat). They contain more potassium than a banana! Potassium is essential for blood pressure regulation. 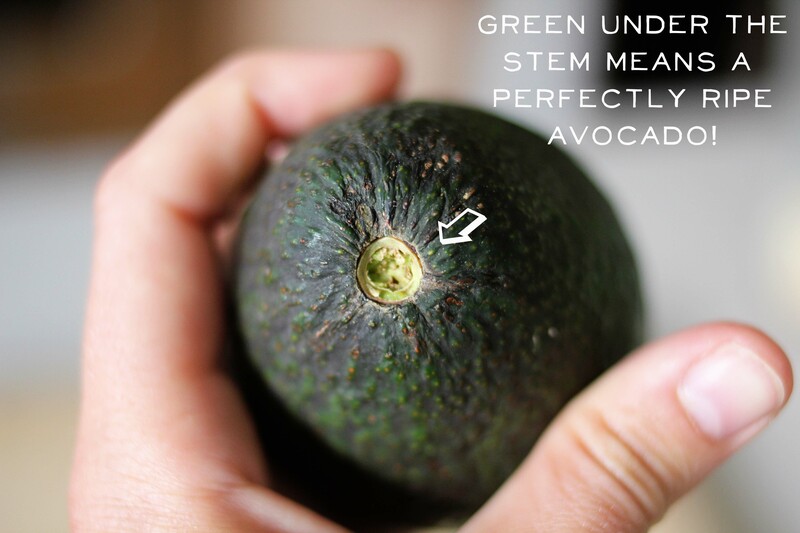 A quick trick to know if your avocados are ripe: Gently peel off the stem and look for a bright green color like below. Then your avocado is ready to go! Simply toss all prepped ingredients into a bowl and mix! Add lemon juice, spices, and salt as you mix to your taste preference. 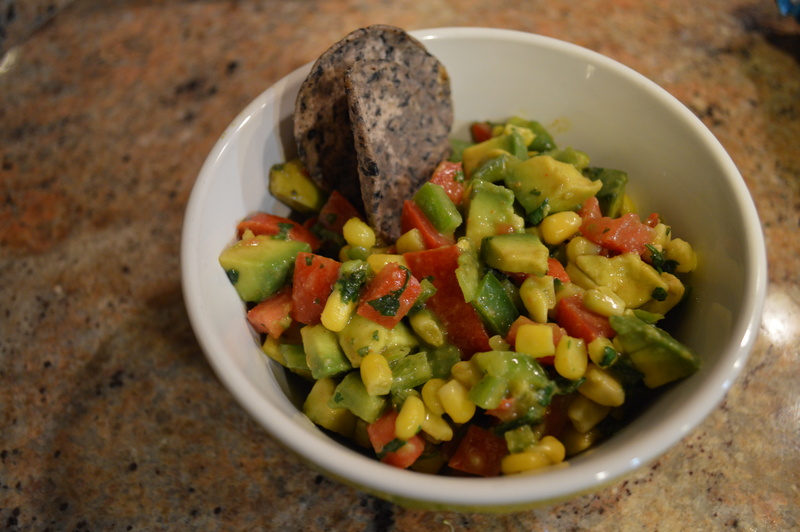 Pair with some healthy chips–here I used some black bean chips I bought at Costco. Feel free to use this mix in tacos, quesadillas, or on tostadas too. Have any leftovers? 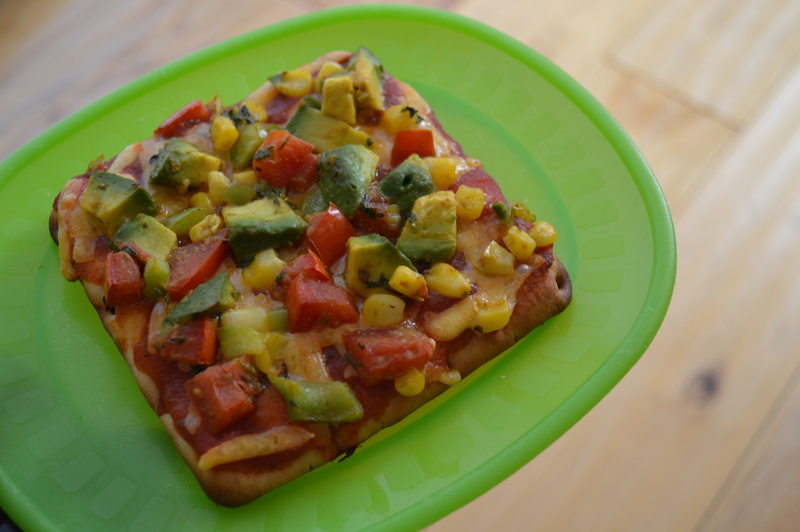 This salsa makes for a great pizza topping! 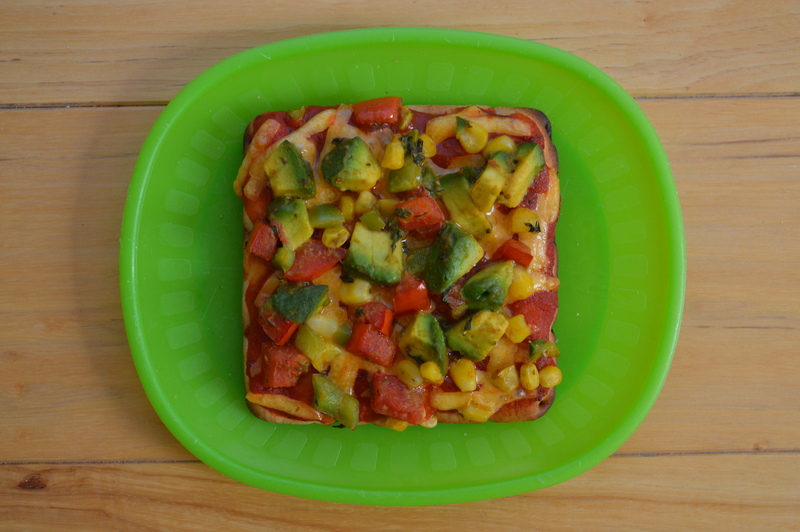 Just spoon some onto a pizza crust, naan, or flatbread, add tomato sauce, and sprinkle on vegetarian or vegan cheese of choice. Top off with some oregano or Italian seasoning.